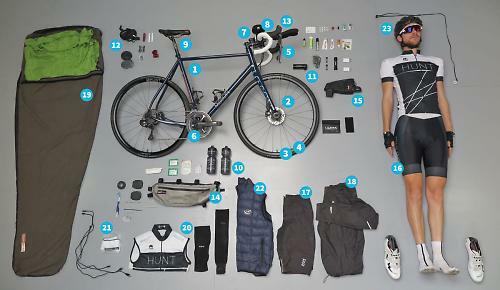 How much kit do you need to ride across Europe? In the case of Transcontinental competitor Josh Ibbett, not much. In fact, this (above) is everything. The leading competitors in the Transcontinental bike race across Europe are now crossing northern Italy having set out from Flanders at midnight on Friday and ridden via Mont Ventoux in Provence, France. Josh is currently sitting in second place behind fellow Brit James Hayden. 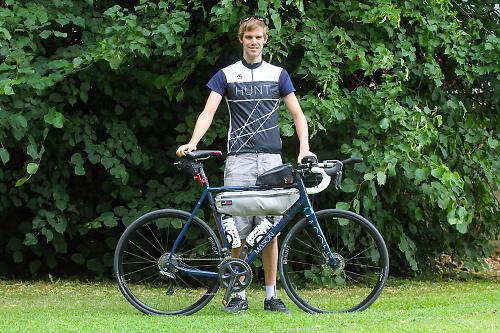 We spoke to Josh last week and he told us about his hopes for the race. He also talked us through the equipment he's using, so over to Josh. I’ve been very lucky that Dom [Mason] from Mason Cycles has given me a bike to use. 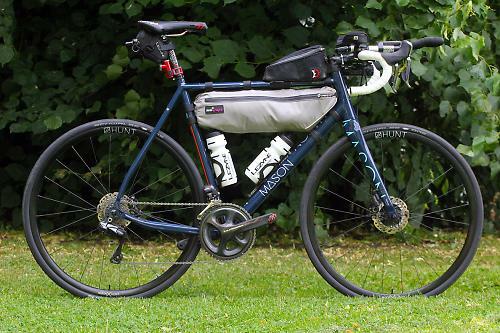 It’s a four-season bike that’s designed for long-distance riding so it’s actually perfect. I’m riding the alloy Mason Definition rather than the steel Resolution because it’s a bit lighter and I think it’s comfortable enough. You need to be comfortable! I could have gone for a lighter bike but I need something that’s strong and resilient enough to get me there. That’s the key, especially given some of the roads we’ll ride where tarmac is optional! Check out the road.cc review of the Mason Definition. Last year I used rim brakes and it rained quite a lot. You get gritty rims and the pads wear out fast. Learning from that, I was keen to run disc brakes, especially as there are a number of gravel sections this year. 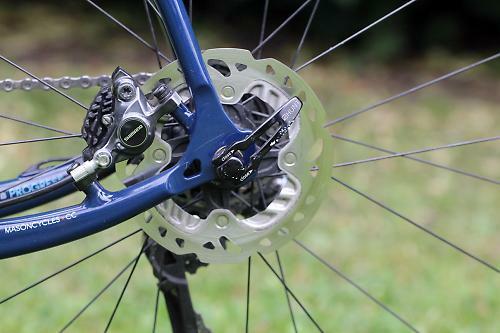 Plus, I’m a mountain biker at heart so I’m pretty sold on disc brakes. 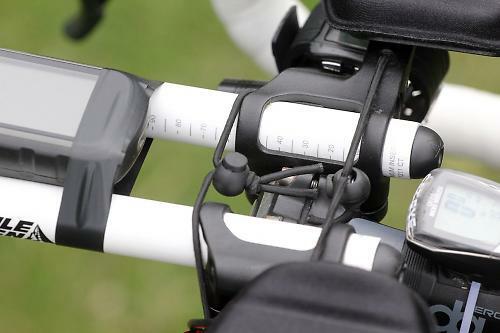 Also, there are no cables – they’re hydraulic [Shimano BR-R785], so they’re going to stay nice and smooth. It’s amazing how hard it is to pull brakes when you’re tired. 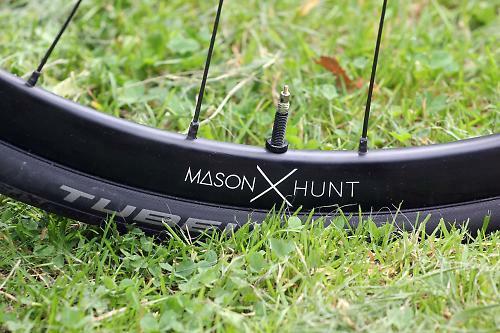 I run a stock Mason x Hunt 4Season Disc wheelset [Josh is Brand Manager at Hunt Wheels]. 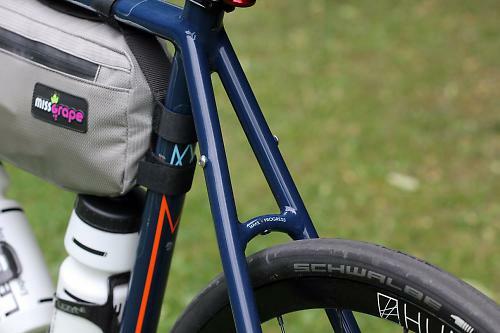 The tyres are Schwalbe One. Last year I used 25mm tyres but I’m using 28s this time because they’ll be more comfortable, and there’s enough clearance on this frame. You can get these tyres as a package with Hunt wheels. 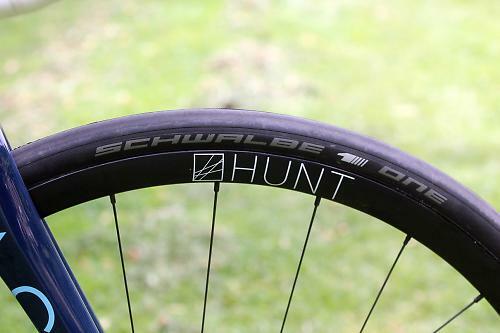 They’re tubeless, which is pretty important for me. The sealant will help prevent punctures, especially across the gravel. 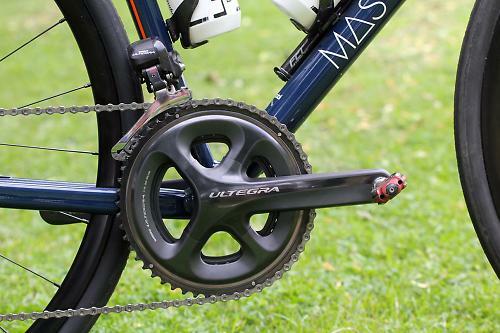 I have a Shimano Ultegra Di2 groupset. Last year I ran Campagnolo Chorus mechanical and snapped two cables. You can’t get Campag cables in the middle of Croatia, so I managed to find some Shimano ones in Montenegro and filed the top to get one in. It eventually snapped so I singlespeeded from Albania to Turkey. 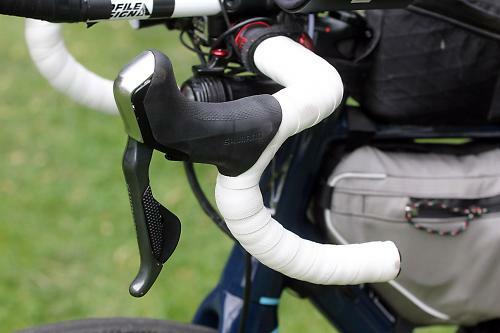 I spoke to people who ran Di2 last year and the charge ran out after 11 days or so. I’m taking the charger with me just in case. I’m stopping at cafes every day, so I’ll just plug it in. My fingers also got sore from all the shifting last year. 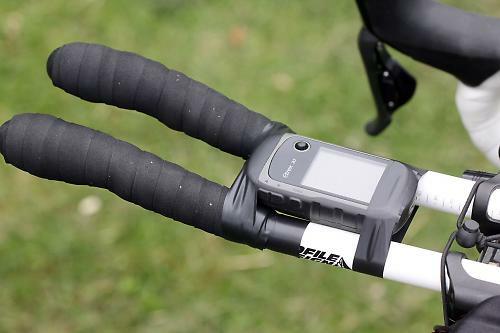 Di2 should be easier. The chainset is a mid-compact (52/36-tooth) and I have a 12-25 cassette which I think is just about right. I don’t want it too easy because then I’ll just go really slow. I’ll just drink loads of coffee and eat loads of croissants at the bottom of the climbs and I’ll be fine. I’m running clip-on bars. It’s essential, as much from a comfort point of view as anything. The Transcontinental is one long time trial, really. I’ve set up the whole bike to a time trial position, first and foremost. The idea is that if I’m comfortable enough in that position I’ll stay there and be faster. Sitting in a normal road position, holding yourself up for 18hrs a day, kills you. And my position is aero with a pretty flat back. The bar features my patent pending croissant holder – bungees I bought off ebay, so I can eat on the move. 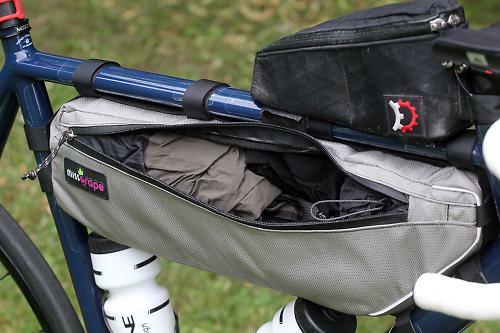 Last year I put all my food in a frame bag, but this year I’m putting most of my equipment in there so I’ve lost that space for food. 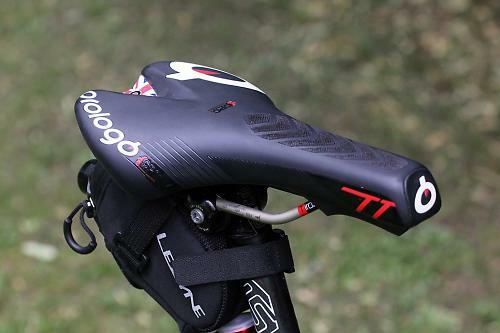 I’m using a Prologo Zero time trial-specific saddle. 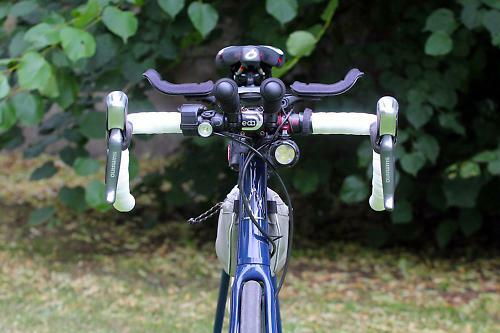 It’s positioned right the way forward on the rails in a TT position. I use two waterbottles. You go through villages, towns, past petrol stations so you can always find water somewhere. This is the setup I had last year and I was okay. There were times when I felt dry but you learn how to be thirsty and just drink a lot when you find water. 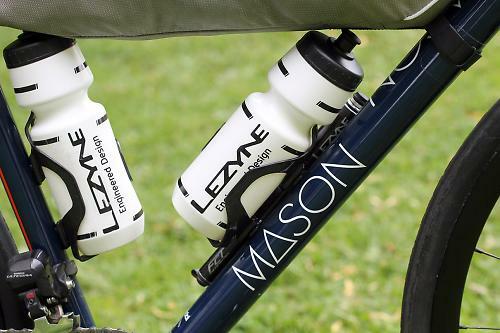 The carbon bottle cages are from Lezyne. The side entry gives you a bit more clearance from the frame. I use an Exposure Toro. Last year I ran a dynamo hub and I probably would have done the same this year, but I didn’t order one in time. I have an Exposure Blaze on the back that’s nice and bright. 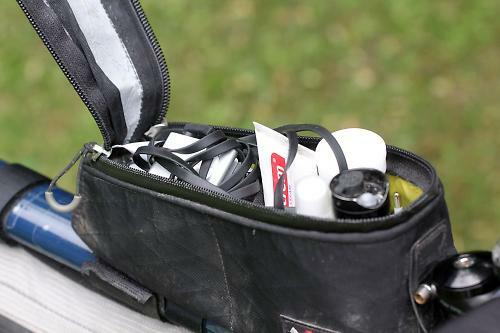 Tools go in the seatpack: penknife, multi tool, two tubes, levers, tyre boots and patches. It’s a Garmin XTrek 30x Hiking GPS that takes AA batteries that I can buy in petrol stations all across Europe. 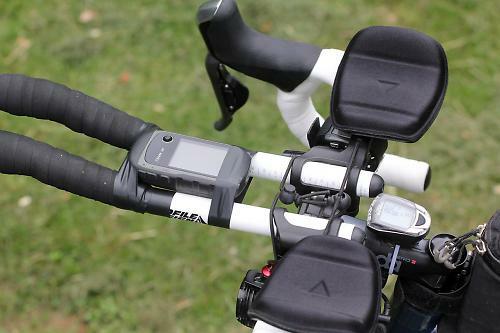 I have a highly sophisticated mounting method for my Garmin: electrical tape. It works really well. I also take a little speedo. 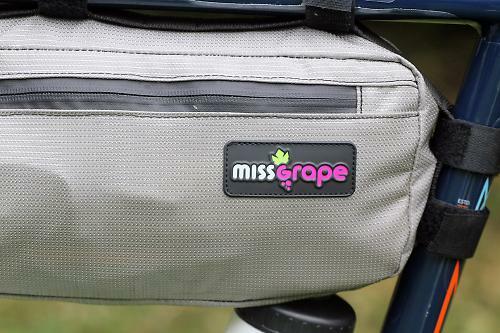 I’m lucky to be supported by an Italian company called Miss Grape. They’re quite new. This Internode bag holds all my main stuff. 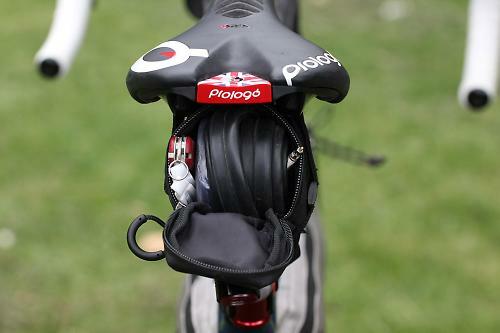 Things like my Speedplay cleat covers, antiseptic wipes, bog roll, tape, zip ties and toothbrush go in the side pocket. This holds toiletries like Sudocrem – that doesn’t meed much explanation – lip balm because your lips get really chafed in the air all day, suncream that I’ve decanted, and a tiny bit of hand cleaner. I have Ibuprofen. I don’t want to start taking it but it’s there just in case. It’s the same with ProPlus. 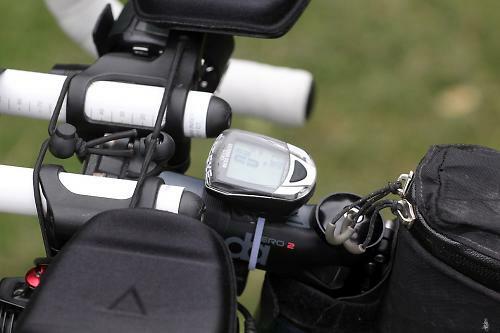 There’s a mini tube of toothpaste, chain lube, a chain link, Di2 charger and a watch because you can’t rely on a phone – it might run out of charge. 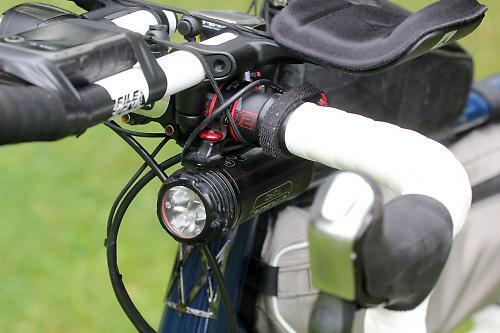 I also have Lezyne flashing lights for dusk and dawn, and a USE Joystick. I have an iPod because music is pretty good for me, Euro USB plugs and cables. I’ll have my riding kit on pretty much all the time. I have Mobel shorts and jersey and a really fine mesh base layer. I’m taking Gore waterproof shorts that I can wear on and off the bike. This isn’t the one I’ll actually be using; I have a Gore Oxygen jacket. The waterproof shorts and jacket are my casual clothes as well. Last year I had a sleeping bag, an air mat and a bivouac, but there’s no point. You get so tired you’ll sleep anywhere, so I have a bivvy bag with a silk liner. I’ll get in wearing my clothes. The warmest sleeping position is on your back with your arms crossed across your chest. Cycling shoes make an amazing pillow. They stay outside the bivvy bag to shield you from the smell. Arm warmers, knee warmers and a gilet. It’s all about layering. These are a major luxury. I want to be able to take my shoes off at a cafe without feeling really bad about the smell! This PH Design down gilet is the lightest, smallest-packing one I could find. I use a Giro Synthe helmet. 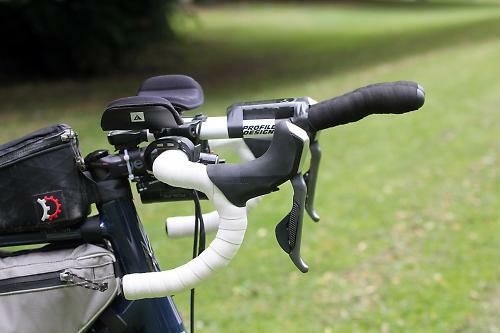 It’s lightweight, cool and a little bit aero. For more information on the Transcontinental, including a rider tracker, go to www.transcontinental.cc.